NASCAR fans are a very proud group of people. And they’re also very into getting tattoos. So when you combine those two, you get a lot of people willing to put some very large and ornate NASCAR-related tattoos on their bodies. 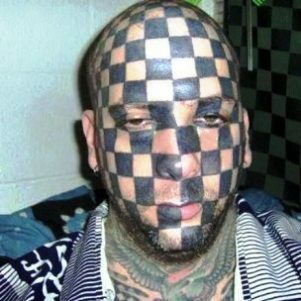 And we’re the winners of that combination because we get to see the crazy, funny and insane things people have put on their skin (and most of them are about Dale Earnhardt). This looks like what happens when you ask M.C. 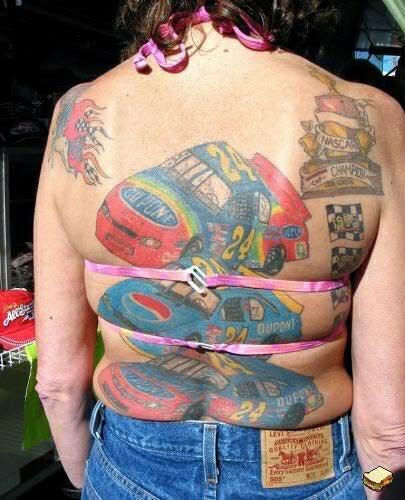 Escher to design your NASCAR tattoo. Between the depth, the detail and the back skin rolls, you could get trapped staring for hours, like one of those magic eye paintings.